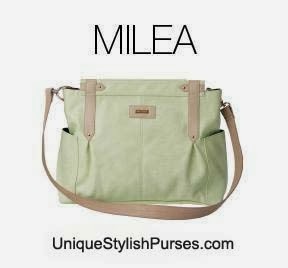 The Milea for Miche Prima bags features a joyful shade of pistachio green faux leather that can’t help but lift your mood. She gives a fresh springtime twist to neutral outfits and is a happy yet sophisticated complement to just about any look. Milea features light- tan details, rivet accents and gold hardware. Side pockets.